Xbox has 25 playable games in their Xbox at gamescom 2018 booth this year. They also did a special episode of Inside Xbox from their gamescom booth, which you can check out below. On September 4th, 2018, PlayerUnknown’s Battlegrounds will leave Xbox Game Preview and become a full release (version 1.0). The developers will still continue to support and enhance the game in the future. More information was unveiled on Team Adventure, the competitive multiplayer mode where players can team up and compete against the world in races, Freeroam Rushes, and other games. You can rise through the new leagues, earn rewards, and try to get the coveted Grandmaster titles. Forza Horizon 4 will launch on October 2nd for Windows 10, Xbox One, and will be in Xbox Game Pass. The first four-week series begins on launch day. Also out of the Xbox at gamescom 2018 booth, the much requested Halo: The Master Chief Collection is set to become the latest addition to Xbox Game Pass on September 1st, 2018. Today’s news on Ori and the Will of the Wisps centered around the game’s new Spirit Trials feature. The spirit trials are fast-paced, race sequences. They are spread out all over the game and allow players to compete with other players. This can net you rewards in the game, and you can keep trying to work your way up the leaderboards. The game will launch on both Windows 10 and Xbox One sometime in 2019. Today the world got an early look at Sea of Thieves‘ third major free content update, Forsaken Shores. In the new content update, players can encounter new environmental perils like volcanos, geysers, and earthquakes at The Devil’s Roar. The Forsaken Shores content update will be launching on September 19th 2018. Sea of Thieves is on Xbox Game Pass, too. State of Decay 2 is getting a new add-on pack, called the Daybreak Pack. This add-on adds a brand new siege defense mode. As a respawning Red Talon solider, players can complete missions, fight the undead, and earn rewards. You can play with up to three friends. It will be available on September 12th, 2018 for Windows 10, and Xbox one. State of Decay 2 is also on Xbox Game Pass. The Xbox Game Pass app is available now on Android, and iOS. 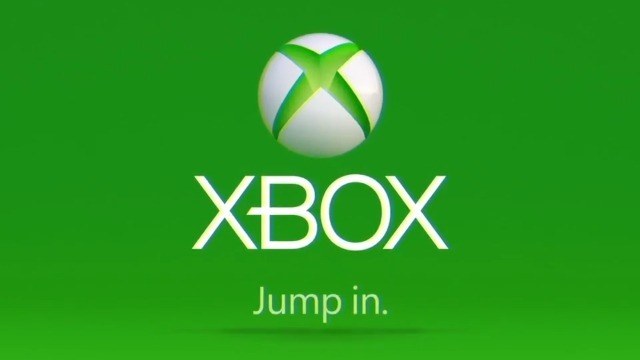 It allows gamers to browse the selection of games that are currently on Xbox Game Pass, and even download them directly to your Xbox console. Starting now up until August 31st, there is also a new special offer. You can get one month of Xbox Game Pass for $2 (or equivalent in local currency). You’ll also get the 2nd month for free in almost all countries where the Xbox Game Pass program is available to gamers. The Xbox at gamescom 2018 booth also announced eight new Xbox bundles and three new controller designs. This includes the very first Xbox One X bundle, the Xbox One X Gold Rush Special Edition Battlefield V Bundle for $499.00, which will launch on October 16th, 2018. Preorders are available. There is also the new PlayerUnknown’s Battlegrounds Limited Edition controller for $69.99, which will be available starting on October 30th, 2018. Preorders are available. There are also new camo and shadow options in the Xbox Design Lab, which allows you to create your own Xbox One controller designs.